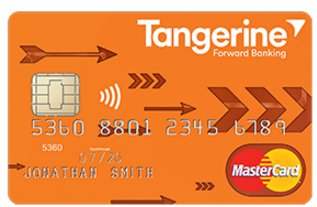 Finally, Tangerine Money-Back MasterCard is officially launched. You can earn 4% Money-Back Rewards for the first 3 months in your chosen categories. This Promotion is available only to new Tangerine Money-Back Credit Card Accountholders who apply for the Credit Card between 12:01 a.m. ET on March 29, 2016 and 11:59 pm ET on June 27, 2016. BTW, if you apply this credit card through GCR, you will get additional $25 cash back . If you don't have a GCR account, you can use our referral link ( https://www.greatcanadianrebates.ca/Register/126795/ ), with which you can get extra $2.5 from GCR (and we can get bonus too. 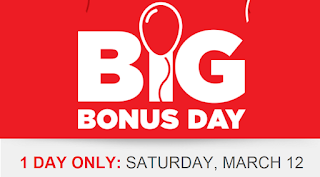 Our email is: canadianrewards@gmail.com). We appreciate you using our links where possible. Offer available at all Sport Chek stores outside of Quebec. SCENE members must present their black SCENE membership card at time of payment in order to earn &/or redeem SCENE points. SCENE members can earn 1 SCENE point for every $1 spent on the purchase of products, less any discounts and taxes. SCENE members can redeem 1,000 SCENE points to receive $10 off their invoice (excluding taxes). 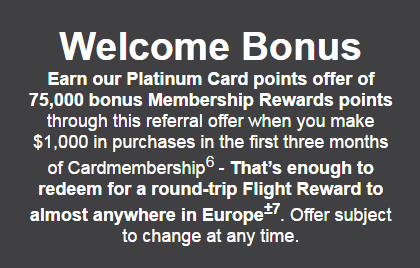 You can earn 75000 bonus MR points, if you apply AmEx Platinum Card through a referral link and spend $1000 in the first 3 months of Cardmembership (originally offer is 60000 welcome bonus through referral link). If you don't use a referral link, you can only get 50000 welcome points. This is the best promotion for AmEx Platinum Card in Canada. In addition to all the travel benefits, if you can get this card by Apr 15, 2016, you can also get one complimentary year of Le Club AccorHotels Platinum Elite Status. Last but not least, if you cannot find a AmEx Platinum referral link from your friends, please contact us at: canadianrewards@gmail.com . 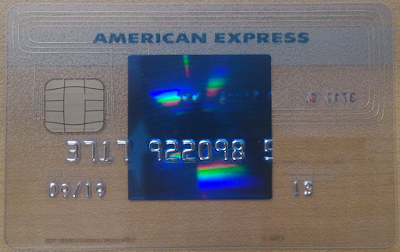 As with the typical referral program, we will also receive 25,000 MR points from AmEx with your successful application. So, we thank you in advance for applying via my referral. Remember that once you have the card you can also refer people to it and get 25,000 MR points for each successful referral. Bad News: Effective Apr 30, 2016, the card member of AmEx Platinum will no longer get the benefit of complimentary Le Club AccorHotels' Platinum Elite membership. It is a big loss (at least for me), especially considering AccorHotels just acquired the Fairmont Hotels. IF YOU ARE CURRENTLY ENROLLED IN LE CLUB ACCORHOTELS’ PLATINUM TIER MEMBERSHIP AND YOUR MEMBERSHIP EXPIRES ON, OR BEFORE APRIL 30, 2016, LE CLUB ACCORHOTELS WILL OFFER YOU ONE (1) ADDITIONAL COMPLIMENTARY MEMBERSHIP YEAR IN THEIR PLATINUM TIER, WITH NO MINIMUM REQUIREMENTS. TO PRESERVE YOUR PLATINUM TIER MEMBERSHIP AFTER YOUR COMPLIMENTARY YEAR COMES TO AN END, YOU WILL NEED TO FULFIL THE LE CLUB ACCORHOTELS QUALIFYING CRITERIA, DETAILS OF WHICH CAN BE FOUND AT WWW.ACCORHOTELS.COM/LECLUB. 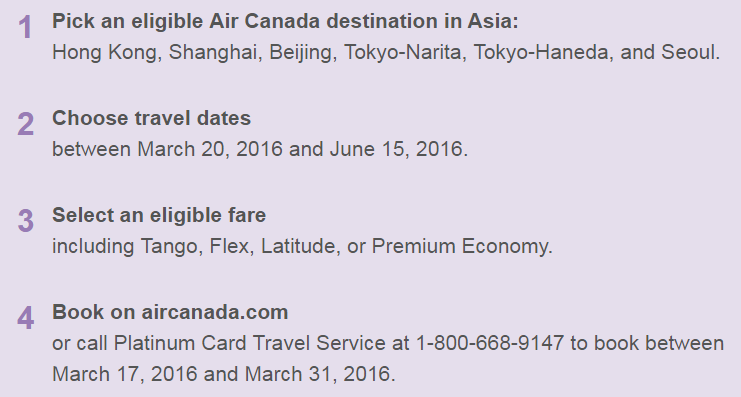 You can get 80% more points if you buy Hilton HHonors points before Apr 1, 2016. Normally, you can buy 1000 points with $10 USD, and now you can get 1800 points with $10 USD (Canadian residents need to pay GST/HST). 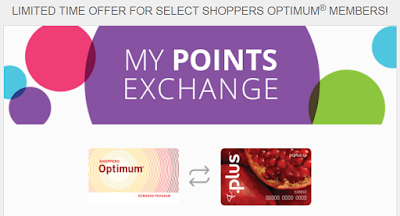 This is a good offer, if you need some points for rewards nights redemption. You can find this offer when you log into your online HHonors account. Note: Someone may get 60% or 100% extra points offer. 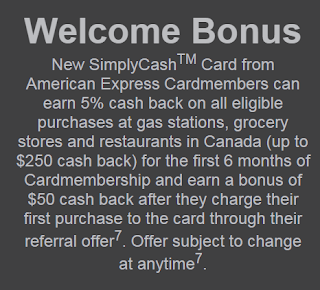 AmEx SimplyCash Card is the only no annual fee and cash back AmEx credit card in Canada. Refer a friend and you9 could earn a bonus of $100 cash back for each approved referral up to a maximum annual referral bonus of $1,500 Cash Back. Balance Transfer Offer for new Cardmembers - Enjoy a 0% interest in first 6 months, if you choose to transfer your other credit card balances to this American Express card at time of online application. It can also provide Car Rental Theft and Damage Insurance, $100,000 Travel Accident Insurance, Buyer’s Assurance and Purchase Protection Plan. In addition, if you apply this credit card through a referral link, you can get extra $50 bonus (you cannot get this $50, if you apply through the AmEx website directly). This is a new offer, and it is subject to change at anytime. So, please act fast. If you cannot get a referral link from your friends, please send an email to: canadianrewards@gmail.com Thanks. 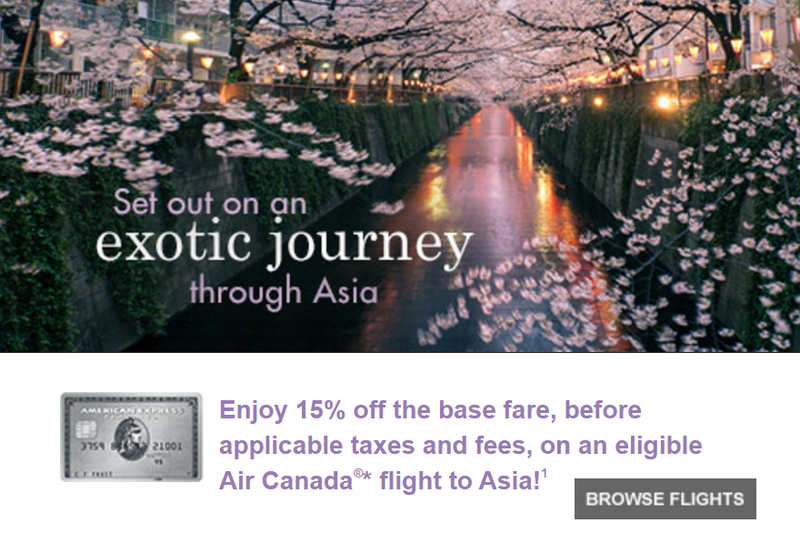 For a limited time, you can receive 15% off the base fare, before applicable taxes and fees, on an eligible Air Canada flight to Asia, if you are a card holder of AmEx Platinum, AmEx Gold Rewards, and AmEx Aeroplan cards. 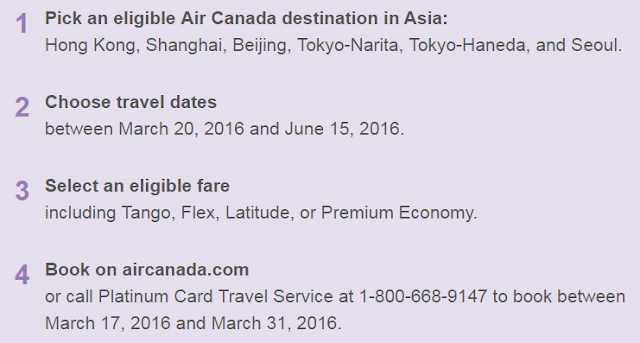 And as usual, AmEx MR points and CIBC Aventura points are not eligible for this offer. 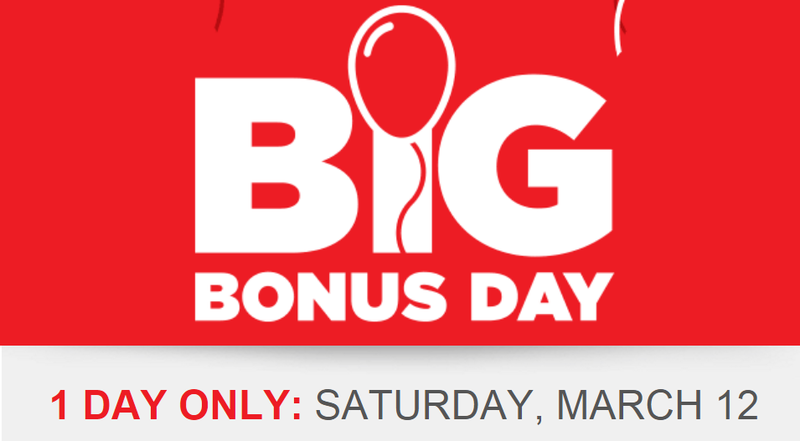 Mar 12 is the BIG bonus day of Canadian Tire. You can collect 30X e-Canadian Tire 'Money' on all merchandise purchased in-store at Canadian Tire when you pay with your Canadian Tire Options MasterCard. 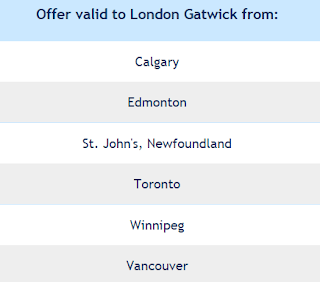 You can get double WestJet dollars when you fly to London, England. Travel on an eligible flight from (or through) select Canadian cities and London Gatwick and earn double WestJet dollars on Econo, Flex or Plus fares. Online registration is required. 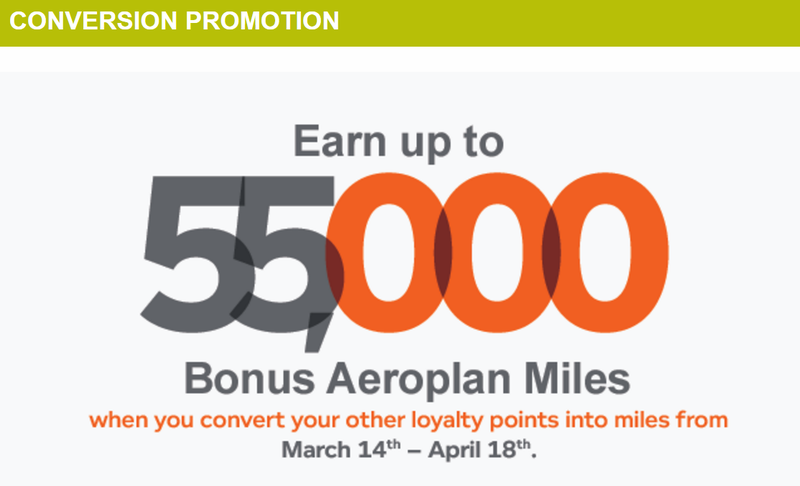 Join Coast Rewards, add your Aeroplan number as your earning preference and complete a stay by May 31, 2016 to earn 2,500 Bonus Aeroplan Miles. 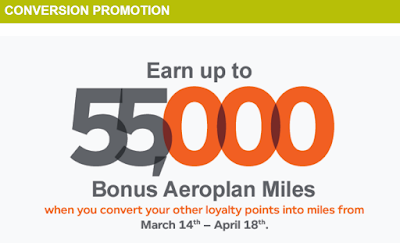 Complete a second stay by May 31, 2016 and earn an additional 2,000 Bonus Aeroplan Miles! 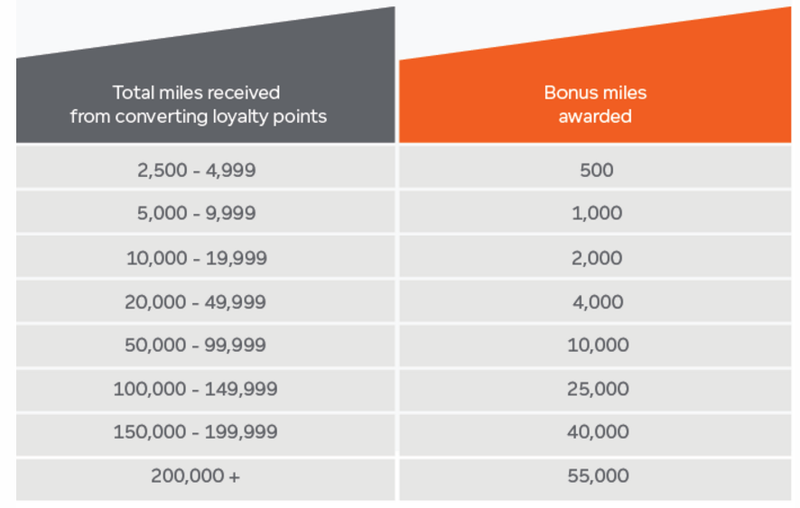 All bonus miles are earned on top of your regularly earned miles. Online registration is required. 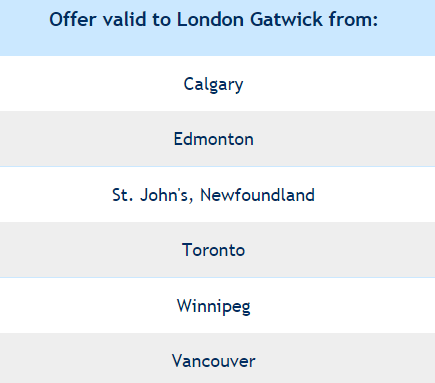 You can earn double Aeroplan Miles for your round-trip flight (or two one-way segments) between Canada and London Heathrow. This offer is valid on eligible scheduled non-stop direct flights operated by Air Canada between Canada (YVR, YYC, YYZ, YOW, YUL, YHZ, YYT) and London Heathrow (LHR) for travel between 4th March and 31st December, 2016. Online registration is required before April 15, 2016. You can get a Scotia Momentum VISA Infinite card with $99 annual fee waived for the first year before May 31, 2016. 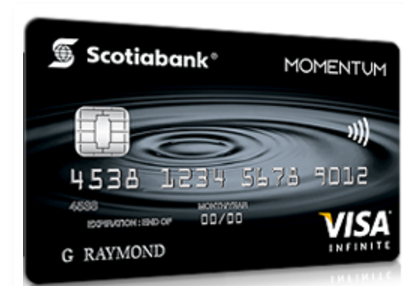 You will earn up to 30000 Aeroplan welcome bonus and annual fee rebate ($120) if you apply TD Aeroplan Visa Infinite credit card before May 27, 2016. You will receive a welcome bonus of 40000 TD points (keep the account open for at least 90 days), when you get the TD First Class Travel Visa Infinite Card by May 27, 2016. Plus, you will enjoy a 100% Annual Fee Rebate ($120) for the first year. The 40,000 bonus points are worth $200 in travel money. For both cards, you can apply them through GreatCanadianRebates.ca, and get $50 Cash Back rebate. If you don't have a GCR account, you can use our referral link (https://www.greatcanadianrebates.ca/Register/126795/ ), with which you can get extra $2.5 from GCR (and we can get bonus too. Our email is: canadianrewards@gmail.com). We appreciate you using our links where possible.